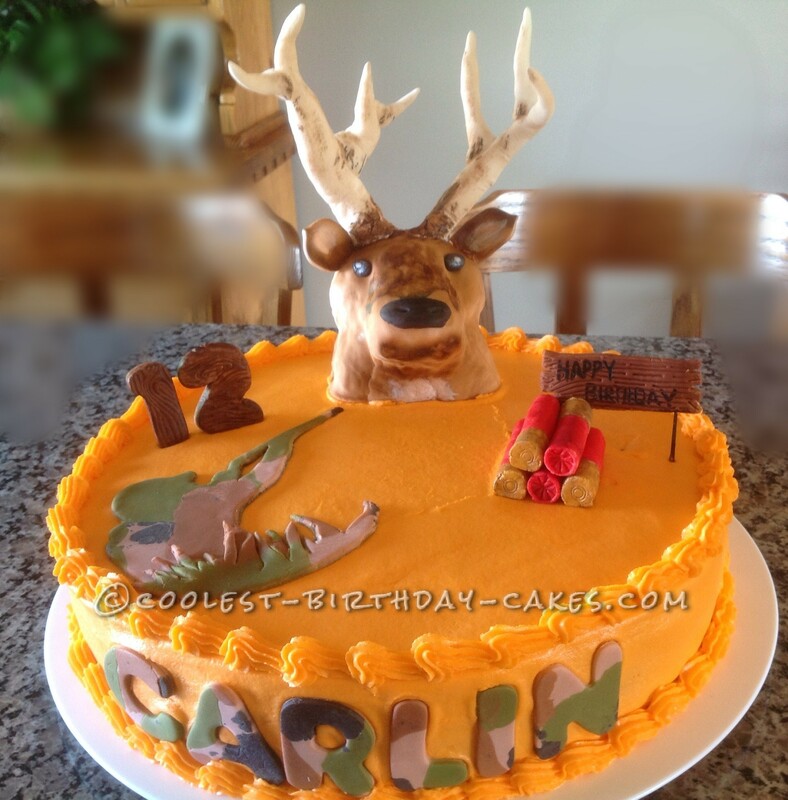 For this deer hunting cake I used a 14″ white cake with buttercream frosting. The deer head is made out of rice Krispy treats covered in homemade marshmallow fondant, all other decorations are made out of fondant also. Everything is edible. I made this cake for my grandson who took the gun safety class and lives to shoot his gun. This is his dream to one day get his first deer !! He lived his Birthday cake ! !